Middletown....David Gregory Ricker, 76, resident of Middletown, passed away February 5, 2019 at St. Vincent's Heart Center in Indianapolis. He was born in Anderson, April 5, 1942, the son of David and Naomi Gregory Ricker. He was a graduate of Madison Heights High School and retired from Magnaquench of General Motors. He worked for GM over 40 years. He was also employed at AutoFarm in Middletown. He loved to play golf and was a member of Kilbuck Golf Club in Anderson. He coached for many years in the Chesterfield Little League, worked the football "chain gang" for Highland High School Football and loved attending his grand children's sporting events especially at Shenandoah during football season. He was an avid Shenandoah Booster. Survivors are his wife of 25 years: Celia Hale Ricker, children: Scot Ricker (Amy), Chris Ricker (Bobbi), Derek Ricker (Teresa) and Merike Bennett, 4 step children: Alan Fields (Beth), Lance Hale (Amy), Corey Hale (Amanda) and Alisha New (Alan), brother: John Stephen Ricker (Kathy), 17 grandchildren and 5 great grandchildren. 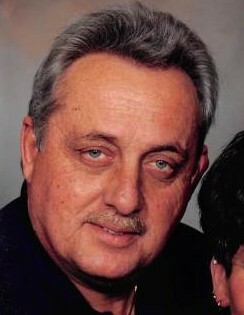 He was preceded in death by his parents, first wife: Sheri Ricker and grandson: Halex Hale.